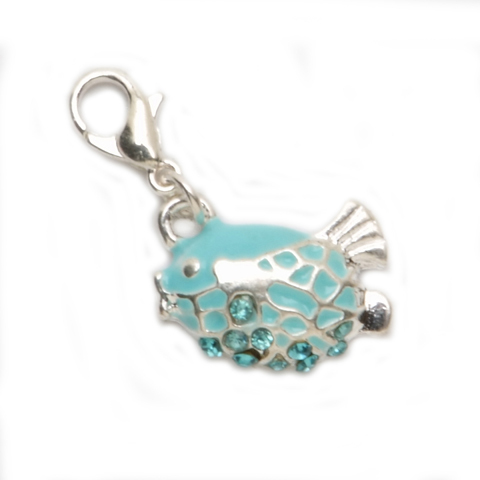 This Pufferfish charm is too cute not to love. Give this charm to the one who is cute and dangerous! The lobster style clasp, silver fish charm is metal, features a translucent, blue-green enameling with rhinestones to create the illusion of fish scales and measures .5625 inches wide and .6875 inches tall.